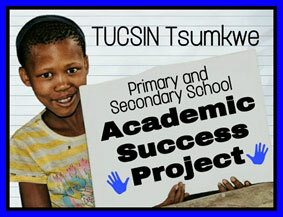 TUCSIN (www.tucsin.org) became aware of the dire need for training and education among the San community. The Village Schools are the only schools in Southern Africa that offer a San language as the medium for instruction. 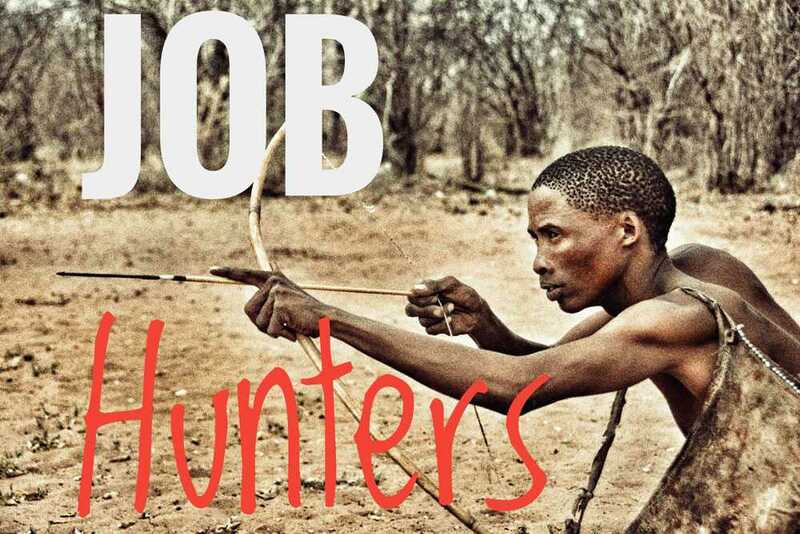 The San community can no longer survive exclusively by hunting and gathering; thus they require a local perspective for education and training. It is of cardinal importance to integrate community members and in particular the Ju/’hoansi San, who live in the Nyae Nyae Conservancy. It requires a well-informed approach with respect for the precious – but rare – value systems of traditional hunter-gatherer societies. The TUCSIN TSUMKWE HOSPITALITY AND TRAINING CENTRE & LODGE offers an opportunity for involving the marginalised San community. A hands-on approach to work should lead to training, study and eventual employment in order to support the local people to develop an income for themselves and their families. Tourism is a big opportunity. Staff members - trained at the lodge. Empowerment & training leads to employment. Helping the San of Tsumkwe access income and employment is one of our most important aims. 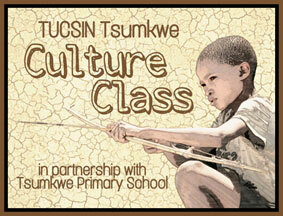 TUCSIN seeks to provide formal, accredited training to interested young San men and women. One of our partners include !Khwa ttu’s //Kabbo Academy in South Africa, which offers an accredited Community-Based Tourism Training Programme for San from across Southern Africa. The TUCSIN Tsumkwe Lodge is also in a position to offer on-the-job training experiences, which is planned to begin in 2017. The present staff at the TUCSIN Tsumkwe Lodge are working on achieving Namibian certification in order to offer the best role-models to future hospitality professionals. The Job Hunters Project reaches out to the large population of youth and adults that have dropped out of the formal education system. Our aim is to empower them to access income through employment, entrepreneurial activities, as well as creating opportunities to earn income from their traditional skills. Another key aspect of the Job Hunters Project is the Business Support Unit. Members of the community have access to assistance here such as how to apply for start-up funds, register a business, manage finances, maintain stock, etc. The aim is to get business started and keep them running successfully. Training from TUCSIN and/or from our many partners is sometimes straightforward, such as in bricklaying, needlework and beadwork. Other forms of training are very unique and tailor made to address specific needs in the local San community. We teach traditional Ju/’hoan skills, values and knowledge. Second chances in our after school centre. Village school feeding project: we need donors! The Culture Class Project is an initiative that aims to ease the difficult transition San children experience when they leave the village to attend boarding school. The goal to reduce the drop-out rate is paired with equally important goals designed to develop their sense of pride for traditional Ju/’hoan skills, values and knowledge.In addition to hunting, tracking and gathering, the children also play traditional games, dance, as well as learn to read and write their mother-tongue. Storytelling is another important part of the Culture Class Project. The funding provided allows us to bring elders together with the children to share stories on a regular basis. Our Academic Success Project has been designed to help school going children to achieve higher levels of academic success. The focus is on the formal education system and helping students improve their grades in the subjects of the National Curriculum. One of the activities of the Project gives out-of-school youth a second chance at completing secondary school. They receive financial, logistical and study support, carefully designed to ensure the greatest opportunity at success. Our after school centre is another initiative of the project. Here, the students can get study support, help with homework and projects, reading and remedial support. They may also come just to read or play games carefully chosen to expand their minds and develop their interests. 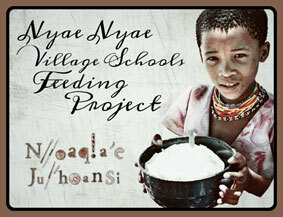 The six Nyae Nyae Village Schools are located in remote areas surrounding Tsumkwe. 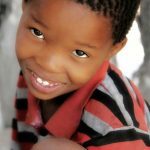 They are the only schools in the entire Southern African Region that offer a San language as the medium for instruction and teach Ju/’hoansi reading and writing as a subject. The demand for this form of education is very high amongst parents and children, but most cannot attend due to lack of food. In order to increase access to the NNVS, TUCSIN Tsumkwe provides additional food provisions, which enables children from surrounding villages to stay at the school during the week.